The antimicrobial product additive inhibits the growth of fungi, molds and bacteria that can cause early product deterioration. 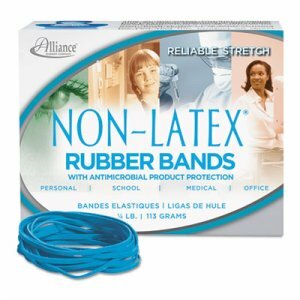 The antimicrobial treatment permeates the rubber band, protecting it on all surfaces for its lifetime. Bright blue color for easy identification.